Who doesn’t love bacon, right? It is amazing. I never met a piece of bacon I didn’t like. Well-unless it isn’t cooked all the way. Not a fan of slimy fat. 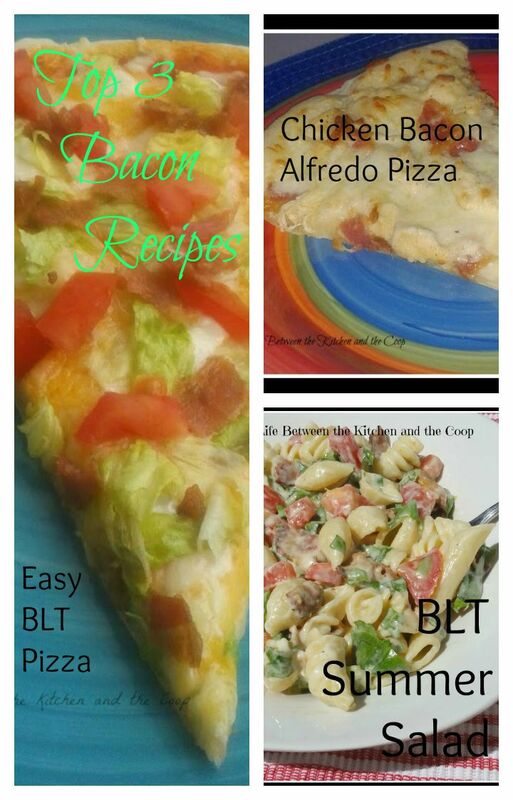 Anyway, I digress…due to my love of bacon, I thought I would do an Ode to Bacon post sharing my top 3 bacon recipes! But, before I jump into that I am curious…do you fry your bacon? If you do, you need to go read this post because there is an easier way to put some yummy bacon goodness into your tummy! 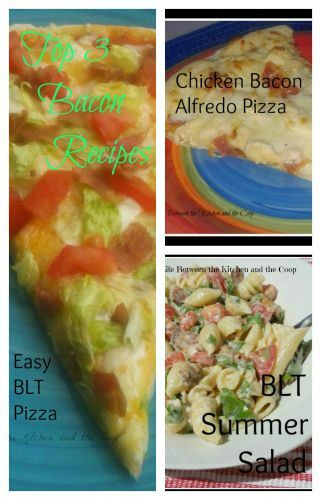 If you love bacon AND are looking for a great way to use those tomatoes out of your summer garden, here are a couple of ideas you will love! This is a favorite summer recipe of mine. 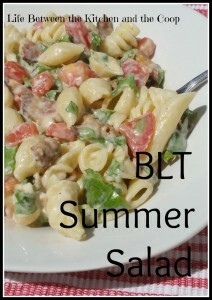 My sister-in-law, Jenny, gave this recipe for BLT Summer Salad to me years ago. It took me awhile to finally get around to trying it out, but I did…and I loved it. 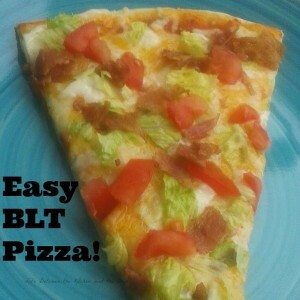 The tangy dressing complements the tomatoes and bacon beautifully! It is awesome to be able to eat something that is cool, but still satisfying, when it is hot outside. Another great thing about BLT Summer Salad is that it can be used as a main dish, but it is also perfect as a side dish for a summer barbecue! Your family will love it! If you don’t have a garden tomato surplus you are trying to use up, never fear! 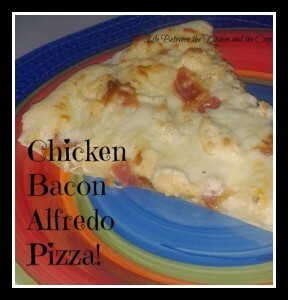 I have another recipe that will be a family favorite…Chicken Bacon Alfredo Pizza! Do you love alfredo sauce? I sure do! When I think of alfredo sauce I think of it poured over pasta with little pieces of chicken in the sauce…well…take that lovely image and add pizza and bacon. Can I just say—oh, yum! The heavenly chorus in your mouth will leave you quite satisfied when you try my Chicken Bacon Alfredo Pizza!!! So there you have it! My Top 3 Bacon Recipes! Whether you bake your bacon or fry it…try all three of these great bacon recipes! Your family will love them! Tell me, what is YOUR favorite bacon recipe?